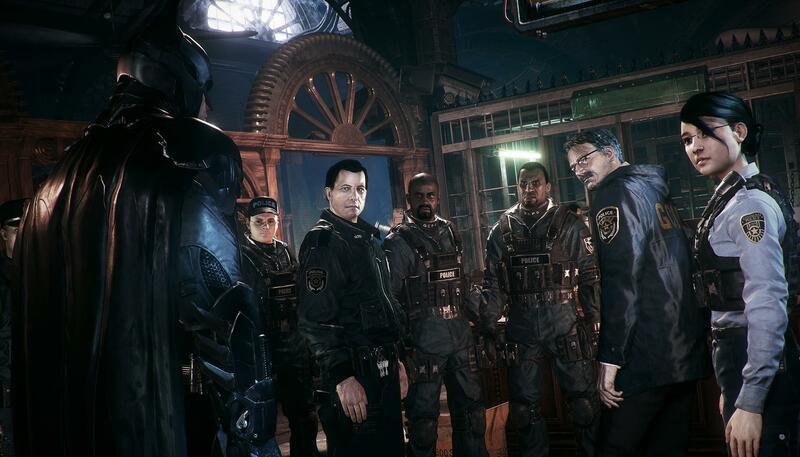 The PC version of Batman: Arkham Knight is giving players all sorts of problems, and developer Rocksteady is on the case. Update: Developer Rocksteady has said it is aware of the problems affecting the PC version of Batman: Arkham Knight, and it is working with a “external PC development partner” to resolve the issues. Beyond that, there’s no indication of when fixes will be issued to current problems. “We’re aware that some users are reporting performance issues with the PC version of Batman: Arkham Knight,” wrote Rocksteady. Original story: Problems, problems, and more problems are in store for those who chose to pick up a copy of Batman: Arkham Knight on PC. These issues have been widely reported on Reddit as well as the Steam forums, to the point that the game currently has mostly negative user reviews. The problems users are facing can be narrowed down to two categories: game files issues and performance issues. The first means users who pre-loaded the game will run into crashes and freezes after decrypting the game files and playing. Naturally, the next step would be to verify game cache, which leads to Steam downloading the whole game again, or large portions of it. As for performance, AMD users are having the worst time, multiple users have reported the game dropping to below 5fps at times. Warner updated the minimum specs overnight, changing the AMD card required. Performance issues seem to occur when gliding and/or calling and driving the Batmobile. Frame-rate would drop to 10fps, according to some reports. This issue appears to affect even the high-end Nvidia cards such as the GTX 980, GTX 970, and in some cases, the Titan X. Other users reported the game locking the frame-rate automatically to 30fps upon restarting, which is probably caused by a bug. For the time being, you can get around that lock by navigating to your install directory, locating a file named “BMSystemSettings.ini” and searching for “maxfps” within that file. The value for this command needs to be changed from 30 to 60 or 0. Unfortunately, even those who don’t have severe performance issues are reporting a wildly varying frame-rate, dropping and increasing without the action on screen justifying it, even while using the latest drivers. We’ll keep you posted on any further updates from Warner.